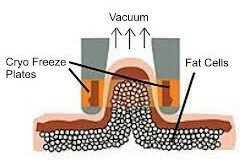 Buy advance session(s) of Fat Freezing and save a massive 25% on the standard price. This offer is available to both new and existing customers. If you are a new customer, the normal price for two areas (eg upper and lower abdomen or both sides of the waist) is £200. Take advantage of this offer to buy the service for £150. You can buy additional sessions for just £75. If you are an existing customer, the normal price for two areas (eg upper and lower abdomen or both sides of the waist) is £100. Take advantage of this offer to buy the sessions for £75 each. This offer closes at midnight on Monday 27th November. It is subject to availability and may be closed early if necessary. All sessions must be paid for in advance and there will be no refunds, unless the treatment is contraindicated (medically unsuitable) for you. All treatments must be used by the end of Saturday 13th January, 2018. Appointments are available day time, weekends and evenings. Any credits not used by 13th January can be carried over as part payment for standard price treatments in the future. These may be bought as gifts. Vouchers can be issued for the treatments if requested and are transferable. Any questions? Ring Mandy on 07941 937269 or email mandy@boylett.com.